I really don't know how to begin this post, I guess I'll start by saying "never write anything you don't want people to read" and if you do "expect people to defend themselves". 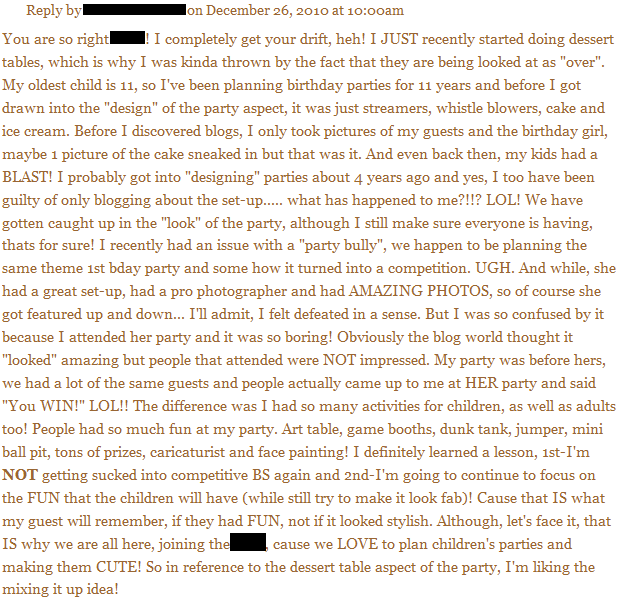 Today I was surfing the web, visiting party planning sites and looking up party ideas when I stumbled upon a party site and a conversation struck my interest. Well, as I read on I came across a paragraph that literally shocked me, not only did I know the author of the conversation, but the person being slandered in her paragraph was me! I started this blog for so many reasons, but none of them were to start drama or to play games, so today I'm finally going to say what I've been feeling for over a year and finally put this whole situation to an end, at least on my behave. 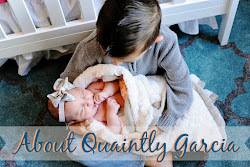 I love my life, I love my family and although many people may doubt that my life is as wonderful as I portray it on this blog, it is! I've worked hard for everything I have, I didn't wake up one morning and decide that being a good wife, a good mother, a good daughter, crafty or domestic was the "in thing to do". This is me, this is who I've always been and the people who matter most to me don't seem to mind! After I started my blog, others followed and I was so excited to be part of this new blog circle; but the excitement wore off quickly when I started to feel like my life was being copied "word for word" and "post to post". 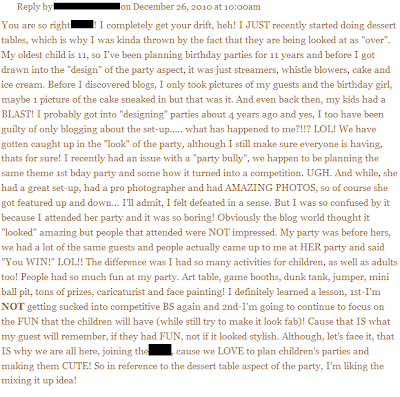 ; then I began getting annoyed when I realized that I was part of some weird "one-upping" war with a fellow blogger. Well, then the rumors started, the rude comments were more obvious, but once again I let bygones be, but coming across this conversation was just what I needed to finally let go; I no longer care to play games and I will definitely keep my distance from this person and her family. The funny thing is when I started writing this post I was livid, but now I just feel sorry for her. and to all those who found my son's 1st birthday to be so boring, don't worry you won't be invited to his 2nd! To all of you who left comments, thank you for your support. I will not be allowing comments on this post, not only because I don't want to add fuel to the fire but I also don't want anyone to feel obligated to comment! If you feel the need to talk to me about this post, I welcome any thoughts, complaints and so on through my contact me button.